Game of thrones season 8 | GOT season 8: Episode 1, Air time US, HBO GO, India, Hotstar premium: Hey there “white walkers” GOT Final Season is all set to rock your worlds, Brace yourself for the big night coming this season. The eighth and final season of Game of thrones produced by the HBO is scheduled to be release on April 14, 2019. Deanerys Targaryen, Jon Snow and the starts will stand together against the White Walker in the final battle of winterfell, which is rumored to be lengthy, intense and full of blood. What time is game of thrones on sunday ? How long is Game of thrones season 8 episodes ? How to watch Game of Thrones ? Even if you hate Game of thrones you can’t escape its fever during the premier night so it’s better you go out on a restaurant and drink till to trash coz you ain’t gonna survive this night without watching this. GoT Season 8 will premier on Sunday, April 14 at 9 p.m. EST (and on the West Coast, fans can watch it at 6 p.m. PST on HBO Now or HBO Go). For all those Indian fans Game of Thrones season 8 in India will be telecaster via Hotstar, which is going to be streaming it live starting 6.30am IST on Monday, April 15, 2019. This last season will comprise six supersize episodes on these dates. Plan to clear out your Sunday evenings at 9 p.m. (8 p.m. Central) in the US, starting around tax day. You can check Games of thrones season 8 tome on HBO Go from below. 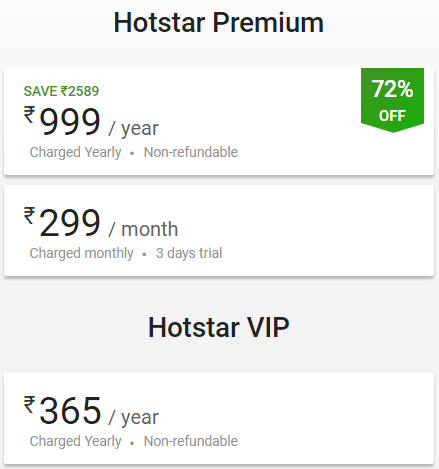 Indian users can watch the on Hotstar premium services which is currently at a offer of Rs 999 for 12 months.